Home Best Tips for New Parents Family Parenting Hacks parents This Combo Will Get Your Baby To Sleep, FAST! This Combo Will Get Your Baby To Sleep, FAST! **Today I am partnering with Fade Away Sleep Sounds to share my secret for getting my son to sleep, relatively easily! All opinions are my own. 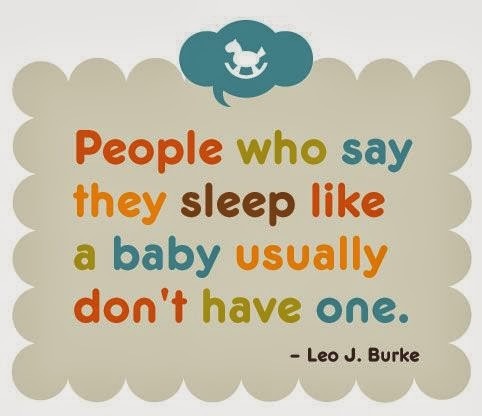 When someone tells me they have a newborn or infant, I always ask, "How are you sleeping?". Just their initial facial expression alone answers my question. The parents with infants who sleep through the night smile a huge proud smile, before carrying on about how great their child sleeps. I was never that parent. I cried when I was asked that question. My son didn't sleep through the night (10pm-7am) until he was eight months old. The first six months of my little guy's life, he nursed around the clock sleeping in mostly 4-6 hour stretches. I would have lost my mind if it hadn't been for the bedtime routine and Mr. Giraffe's baby sleep sounds. My sister, a mother of two boys, now nine and ten years old, had a bad sleeper, and learned the hard way to "stick to the routine like your life depends on it." She also insisted that I get a sound machine to soothe my infant to sleep. She was right on both accounts. Did you know, it's hard for baby to adjust to the quiet world outside of mommy's loud tummy? The problem was finding the right white noise for baby sleep! So many sound machines make this strange tempo sound. I needed a white noise or something familiar to my son when he was in the womb. Sounds like my heartbeat, blow dryer, vacuum or water running. In lieu of blowing up my blow dryer, I found a white noise machine buried deep in a stuffed giraffe, then paid WAY too much for it. All was great until one particularly gross tummy flu destroyed Mr. Giraffe. I dug out the sound maker and have used it by itself since. Even though the white noise got my little guy to sleep like a charm, no way was I going to pay for another overpriced stuffed animal! If you have a rotten sleeper or have really long bedtime battles, I cannot recommend enough starting a bedtime routine followed by sleep sounds for babies. And rather than pay an arm and a leg for a stuffed sound machine, check out Fade Away Sleep Sounds. A dad invented it. He too had a crappy sleeper and loved his sanity. The Fade Away Sleep Sounds tracks offer a unique feature with it's fade away to silence. This way parents can help their kids fall asleep on their own and at the same time wean them off of the white noise since a track lasts for only 60 minutes in total. The last ten minutes is a slow fade out that gently helps the child to sleep on its own. Parents always make the best stuff! We know what works, not the big corporate giants. I love entire concept and range of familiar sounds Fade Away Sleep Sounds offers. You can listen to the tracks on their YouTube channel, here. Or start downloading Fade Away Sleep Sound Tracks, HERE! I really cannot express enough how important the bedtime routine and the combo sound machine became to my son's sleep and my sanity. Four years later, when we travel, the routine and white noise has yet to fail me in getting the little guy to sleep. I stick to the bath, bed, books, lights out, sound machine on, and I plan to do this until he protests or I send him to college! What's your sleep secret? Which track would be best for you baby? Hairdryer, running water, thunderstorm, clothes dryer, electric fan, washing machine, vacuum?